The undergraduate degree program in Public Health Sciences provides a variety of advising and academic resources for its students. Both our staff advisors and peer advisors are here to help address your academic questions and concerns so that you can make the most of your UMass Amherst education. Note: Please include your student ID when emailing Dr. DiFulvio. It speeds up things tremendously. Thanks in advance! Gloria DiFulvio is the Undergraduate Program Director in Public Health. She received her B.S in Psychology from Binghamton University, and an M.Ed. in Counseling Psychology, M.P.H. in Community Health Education, and a Ph.D. in Public Health from the University of Massachusetts Amherst. She served as a Senior Evaluator for the U.S. Department of Education’s Higher Education Center for Alcohol and Other Drug Abuse and Violence Prevention from 2004 to 2008. Prior to this she was a Research Associate with the UMass Donahue Institute, Applied Social Science Research and Evaluation Unit. Dr. DiFulvio has experience in utilizing mixed methods to evaluate health and human service programs within the United States. She has extensive involvement in community grant-funded projects in mental health and suicide prevention, HIV prevention, domestic violence, drug and alcohol prevention and treatment, and K-12 prevention programs. 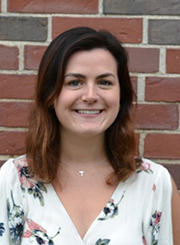 She currently serves as lead evaluator with the Massachusetts Department of Public Health to evaluate a statewide youth suicide prevention program and the Western Massachusetts Public Health Training Center. Brigid Williams is the Chief Undergraduate Advisor for Public Health Sciences. She received her B.A. in English and her M.S. in Counseling, with a specialization in Student Development in Higher Education, from Central Connecticut State University. 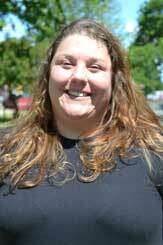 Brigid is excited to return to this area, where she previously completed an AmeriCorps year of service. She appreciates the interdisciplinary options that exist for Public Health Sciences majors, as well as the wonderful faculty and staff in SPHHS. 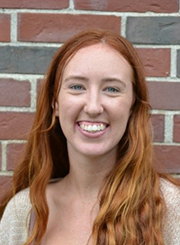 When not advising students, Brigid enjoys spending time outside and traveling to new places. 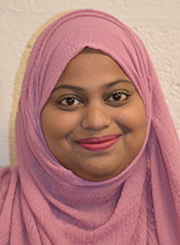 Farana Samad is the Graduate Advisor for Public Health Sciences. She received her Bachelors in Medicine and Bachelors in Surgery in Bangladesh. 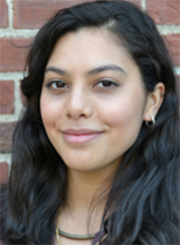 She is pursuing her MPH in Community Health Education at SPHHS. Before coming to the MPH program, her job was to help improve workplace health and safety for garment workers in Bangladesh. Perspectives gained from that experience diverted her interest towards Public Health. She is excited to be at UMass Amherst and be a member of the advising team. She thinks the best part about the Public Health program is its flexibility which helps students prepare for the many diverse opportunities. While there's no need to make an appointment, if you drop in, please bring an updated copy of your tracking form. Being well prepared will help us help you. Meet Your Peer Advisors for 2018-2019! Hi everyone! My name is Amanda Bresnahan and I am from Taunton, Massachusetts. I am a Junior Public Health Major with minors in Sociology and Education. I am interested in Health Education, and one day hope to use the knowledge I have gained from Public Health to educate students on leading healthy lives. I discovered the Public Health major my freshman year after enrolling in Public Health 129: My Body My Health. I fell in love with how flexible the major is and how you can tailor it to your specific interests within the broad field of Public Health. Outside from peer advising, I am involved with a few musical ensembles on campus. I am a member of the University of Massachusetts Minuteman Marching Band as well as the UMass Hoop and Ice Band. I am also an Undergraduate Course Assistant for Public Health 200: Introduction to Public Health. My advice for students is to get involved on campus! Going to such a large school can feel overwhelming at times, but getting involved will help you find your home at UMass. There are so many resources on campus to help support students, taking advantage of these resources can ensure success during your time at UMass. If you are ever unsure of what these resources are, feel free to stop by the Peer Advising Office, we would be more than happy to help you! My office hours are Tuesdays 9:00AM- 10:15AM and Thursdays 9:00AM- 11:15AM. I am looking forward to meeting you! Hey everyone! My name is Debby Crespo and I am a Senior from Boston, Massachusetts. I am on the combined track with a focus area in the Sciences. Originally, I came to UMass as a biology student on the pre-med track. However, it wasn’t until my spring semester Freshman year that I narrowed down my interests. It wasn’t until a Public Health info session that I realized I wanted to major in Public Health. Now I am a Microbiology and Public Health double major, attempting to earn her dual degree and a Spanish & Health Certificate. I have always had an interest in helping people, especially women and children, so I am considering applying to Medical school or some form of graduate program. 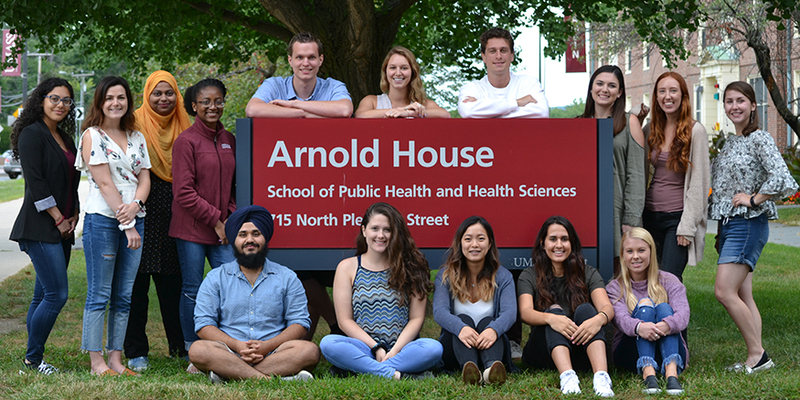 What I love about the UMass Public Health program is that it provides students a great foundation for any health-related career they choose. The major is so flexible that it allows students to explore all areas of the interests and combine them from departments all over campus. All the faculty and students are eager to help one another and give you all the support you need. My advice for all students is to step out of your comfort zone and really explore everything that interests you. I wouldn’t be going for a dual degree or even be a peer advisor if didn’t leave my comfort zone and tried something new. UMass is a huge school with a lot of opportunities. Take advantage of everything that is being offered. I look forward to meeting all of you throughout the year. Hi Everyone! I’m Andy Dey, and I’m a senior from Salt Lake City, Utah. I am majoring in Public Health and minoring in Biology. When I first came over to UMass, I was a Biology major looking at studying genetics. In the midst of sophomore year, I began to hear about the Public Health Major, and the more I found out about it the more interested I became, and I switched over that fall. I have found a strong interest in Epidemiology, and have carried over my previous interest in genetics, particularly epigenetics. My ultimate goal is to work following disease trends for the CDC. I have really enjoyed being in the Public Health major because I think the field does a great job at applying science and research to directly improving people’s lives. I have also found a great group in the staff and faculty of the SPHHS, who really go out of their way to help you learn their material and decide what you want to do. Aside from Public Health Events, Classrooms and Office Hours, you can find me driving around buses for the PVTA, out on the trails and mountains, and drinking coffee. I look forward to meeting all of you! Hi everyone! 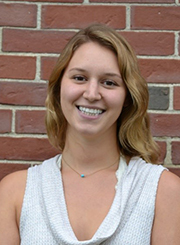 My name is Nicole Flaherty and I am a senior Public Health and Psychology major from Billerica, MA. I decided to switch into the Public Health major from Kinesiology in order to find my passion in helping others and working in a health-related field. Public Health has been the perfect major for me because it has allowed me to explore a variety of different fields and incorporate all my interests. I have developed an interest in the obesity epidemic and hope to work with children to improve childhood nutrition. After graduation, I plan to continue my education in Nutrition and Whole Health. Outside of being a Peer Advisor I am also the Vice President of the Kinesiology Club and member of the Special Olympics Club. I also participate in intramural sports and enjoy attending spin classes at the Rec Center. Fall semester of my Junior year I had the opportunity to study abroad in Amsterdam, where I was able to take my required classes while exploring a new culture at the same time. This past summer I completed an internship at the Veterans Hospital with Nutrition and Food Service where I assisted the director in improving food quality and patient satisfaction. My advice for all students is to explore your major and take advantage of all the different opportunities UMass has to offer. Getting involved helped me build amazing friendships, learn more about my major, and find hobbies I never thought I would enjoy. Along with this, I recommend all students reach out to professors and professionals in the field for informational interviews, shadowing, and internships. These opportunities can help you find a passion in something that you had never thought of before. Please never hesitate to stop by, I look forward to meeting you guys! Hi everyone! 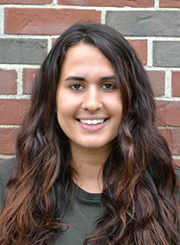 My name is Amanda Joao and I am a senior from the tiny town of Granby, Massachusetts which resides about twenty minutes from Amherst. I’m majoring in Public Health with a focus area in Psychology, and a certificate in Criminal Justice. What attracted me to the Public Health major was the vast amount of class combinations that the major offers in order to complete the Public Health degree. Because of this, I found myself in sociology and psychology classes throughout my freshman and sophomore years at UMass. These experiences in different classes are what drew me to my focus area and certificate. I value Psychology because it provides an explanation for why people do certain things. The sociology classes that I am taking at UMass teach the history, goals and sociological theories centered around the United States Criminal Justice system. Since mental illness, jailtime and violence affect every community across the country, I believe that these topics partner perfectly with Public Health. At first, I wanted to use my Public Health degree to get me to Graduate School to become a Therapist or Counselor for inmates in prison around the country. However, after taking some of the higher-level Public Health courses this past year, I have completely fallen in love with the field and its core disciplines. This past Spring, I went on Domestic Exchange to another University in Los Angeles, California for a semester. Here, I was able to take what I learned in my Epidemiology, Health Policy and Environmental Health classes at UMass and put my knowledge towards improving the Los Angeles community through the Public Health Outreach Club at my exchange school. I have always been an advocate of exploring outside of my comfort zone, and the Public Health major provided me with the flexibility and confidence to do so. I encourage all students to take a semester or summer during their undergraduate career to explore another school in a different state or country. You will be amazed at the career, academic and social opportunities that there are out there beyond your comfort zone. Other than my role as a Peer Advisor, I work at UMass Conference Services assisting with events that take place across campus. My other interests outside of school include anything that has to do with the outdoors, especially kayaking and biking. I am a huge fan of winter sports, as the only thing I enjoy about cold weather is the skiing and ice-skating opportunities that the Mullins Center and nearby mountains provide. I also love participating in the intramural sports that UMass offers every semester, and I am a fan of painting pictures at times when I want to relax and explore my creative side. Another bit of advice that I would provide students with is to make connections on campus and get involved! UMass has so many opportunities to join clubs, explore interests and meet new people. Make the most of your time. Hi everyone! My name is Kassandra Jean-Marie and I am a junior double majoring in Public Health and Microbiology. I am also on the pre-med track. I have wanted to be a physician for as long as I can remember and would like to specialize in infectious diseases. This is why I chose Microbiology. Although I loved learning about microorganisms and the cycle of disease, I wanted to know more about how this impacts people. After talking with an CNS advisor I was directed towards the peer advisors of Public Health where I was able to learn more about what the major entails. After the information session I was hooked. It seemed like the perfect major to complement my microbiology background, and one that would prepare me for dealing with individuals as well as communities. Outside of peer advising, I volunteer at Amherst survival center, which is a great place for those in need. I am also a research assistant working on the Food, Activity, Screens, and Teens (FAST) Study with many notable researchers. 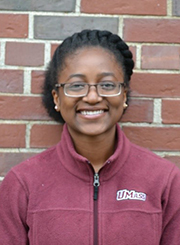 I am also a teacher’s assistant for Microbiology 265, and I am part of the UMASS Minority Association of PreMedical Students (SNMA-MAPS). My advice for student is to never delay in asking for help. There are so many great resources on campus that are free and here to help students succeed. Often times students wait too long to get help. The earlier the better. Can’t wait to meet you all! Hey everyone! 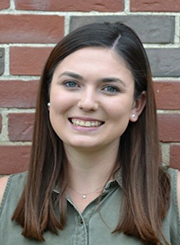 My name is Samantha Martens and I am a senior from North Andover, Massachusetts. I am on the combined track of Public Health with a focus area in Pre-Health and I am pursuing a minor in Biology. My goal after graduating from Umass is to become a Physician's Assistant. I originally entered Umass as a Biology major on the Pre-Med track. After taking Public Health 160: My Body My Health, my freshman year I realized that the Public Health major would give me the more interactive approach I was looking for in the science field. Public Health was the best major for me because it allows me to take a variety of classes that interest me and gives me enough room in my schedule to add courses from other disciplines to make a unique learning experience that best fits me. The diversity of courses that this major provides for students is unlike any other I have seen at Umass. I love that the Umass Public Health program has something to offer to all students and sets students up for success for a multitude of different careers. The Umass Public Health program gave me the foundation and educational experience necessary to get an internship this past summer at a teaching hospital in Lawrence, Massachusetts. This internship gave me the opportunity to apply what I had learned at Umass to real life situations and assist patients by using my knowledge of Public Health. Other than my role as a Peer Advisor I am a involved in Greek Life at Umass and a member of the sorority Kappa Kappa Gamma. The biggest piece of advice I would give to students would be to branch out and try as many new things as possible! You never know what you may stumble upon and Umass is full of great opportunities. Feel free to stop by during my office hours anytime and I cannot wait to meet you all! Hi everyone! 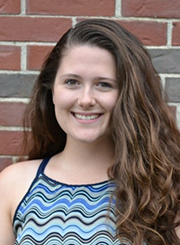 My name is Serena Nally and I am a junior from Belmont, MA. I am majoring in Public Health and minoring in Biology. Within the scope of Public Health, I am interested in infectious disease research. Freshman year, I came into UMass undeclared on the Pre-Health track. I decided to look into the public health field after one of my friends in a similar situation attended an information session and declared their major as public health. I love how broad the public health field is. Every student I know who is interested in pursuing a health-related job has found a part of the field that interests them. The public health major allows you to customize your classes so that they align with your interests. Public health is a remarkable field because public health focuses on prevention and looking at the root causes of illness as opposed to the biomedical treatment and cure approach. Public health professionals are eager to aid the less fortunate communities that often do not have access to adequate health care facilities. Public health advocates aim to solve a problem by keeping two key concepts, equality and equity, in mind. A feasible solution to a health care crisis is one that involves both the promotion of equality and equity by providing the disadvantaged group with the specific tools they need to live a healthy life. I would advise all students to explore UMass and all of its wonderful opportunities. It may make the world of a difference if you step outside of your comfort zone. You could join a club or take a class that you don’t know much about. It is so often more worth it than not. I am a part of the Public Health Club on campus, which is a great outlet for me to apply what I am learning, outside of the classroom. I am very grateful that I took a chance and submitted an application to be a peer advisor, look where it landed me! I am thrilled to be a part of the SPHHS community. The SPHHS community here is so welcoming and warm and very eager to help any student in need. Please do not hesitate to stop by, I look forward to meeting you all! Hi, my name is Marlena! I am a senior from Wakefield, MA. I became interested in Public Health through my own health journey over the past few years. I started at UMass as an HTM major and later transferred into Public Health. This major ended up being a perfect fit and I've enjoyed every class I've taken. Within the field of Public Health, I am especially interested in holistic health, community health education and women's health. I hope to combine my interests in a future career. I love the preventative nature of Public Health and promoting healthy lifestyles for all. Outside of academics, I am really interested in yoga and am a certified yoga teacher. I teach at the Campus Rec center on Monday and Wednesday mornings. I also enjoy arts and crafts, watching documentaries and hanging out with friends. I hope to see you in office hours and look forward to meeting new people! Hi everyone! 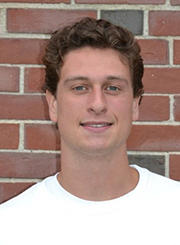 My name is Andrew Noyes and I am from the small Northshore town of Groveland, Massachusetts. I am a senior Public Health Sciences major with a focus area in Environmental Health. Also, I am taking supplemental coursework in pursuit of a minor in Environmental Science. I am interested in how human interaction with the environmental world yields consequences regarding not only natural conservation, but human health as well. I was drawn to the Public Health Sciences major midway through my sophomore year because it allowed me to combine my passion for science with important social factors such that drive change, such as policy making. Some of my interests include playing sports, skiing, and hiking. My advice to students is to try not to hold yourself back from leaving your comfort zone. Though this school may seem huge, there are tightly-knit communities everywhere with all kinds of different interests. It is especially beneficial to connect with peers and faculty alike. You never know what opportunities could arise from meeting new people. I am excited to be a Peer Advisor and look forward to meeting you all! 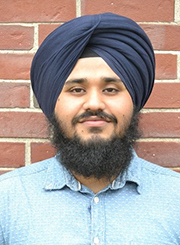 Hi everyone, My name is Jodhbir Singh and I am Senior in Public health and Biochemistry major. I was born in Punjab, India and then moved to the United States when I was thirteen years old. I attended Northampton High School in Northampton Massachusetts. As a freshman at UMass Amherst I started as a Biochemistry major and later in my sophomore year I took Public Health 200 and fell in love with the Ideas and material the class had to offer. I officially joined the Public Health major in my junior year and fell in love with the community health program track. I plan to do a 4+1 program with a Biochemistry major but still incorporate community health education with hard scientific data. I am also part of a lab on campus where I work with yeast to find better therapies to prevent cancer and use plant-based foods to help people live a longer quality of life. By combining all that I have learned at UMass Amherst from both of my majors I attend to go into medical field but more focus toward the research perspective. I believe with the research and data we can design better public health programs which provide everyone with healthcare and higher quality of life. Outside of Peer Advising I am currently working as a CNA in a long-term dementia unit in Hadley and also doing some odd jobs around the campus. I have been a TA for some of the Biology classes and also a part of a research lab on campus. My best advice would be get more involved with that you like for example RSO, Clubs, jobs and sports teams on campus. Attend as many non-required seminars and lecture because it’s a great way to build relationships with school facility and also a good opportunity to network. I am very excited to be part of an advising team and see some of you guys in the advising session. My office hours are Mondays 9:00AM- 11:15AM and Tuesdays 1:00PM- 2:15PM. Feel free to come with questions and even just to say Hi! Hi everyone! 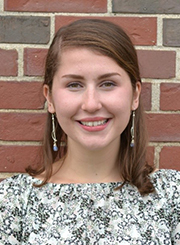 My name is Eve Sullivan and I am a senior from Wilbraham,Massachusetts. I am a Public Health major on the combined track with a focus area in Community Health Education. I learned that Public Health was the field for me after taking a gap year and working for AmeriCorps NCCC. Through AmeriCorps I discovered that I have a passion for working with communities to improve overall health. After this realization, I decided that UMass’s Public Health program was the ideal place for me. UMass’s Public Health program is amazing because it allows each student the room to explore their specific interest in the field. The Public Health major encourages you to pursue electives in other colleges to give you a multidisciplinary perspective on the field of Public Health. My advice for all students is to go to advising. Faculty members always have suggestions on how to improve your overall college experience, and are more than happy to share their knowledge of the school with you. I would not have encountered the 4+1 Program or have known about Domestic Exchange without going to advising. 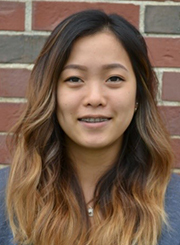 My name is Althea and I’m a Junior Public Health major with a focus in Cultural Anthropology. My office hours are Fridays 1:30PM- 5:00PM. I’m from Cape Cod, Massachusetts, but I spent this summer in Ghana teaching sexual health and reproductive rights. Working to understand the culture of Ghana was fundamental for my work so that the public health interventions could be more targeted, effective, and welcomed. My area of interest within public health is identifying areas of need across the globe and working toward providing communities with focused and culturally sensitive medical interventions. In addition to Peer Advising, I am also President of the UMass Model United Nations Club and the Director-General of the MinuteMUN Model UN Conference. 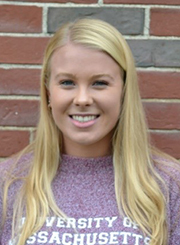 I am also a research assistant in the Pediatric Physical Activity Lab, where we study the benefits of increased physical activity on preschool and elementary-aged children around Springfield and Amherst. Also, I am a Senator for the Class of 2020 and I serve as the chair of the Administrative Affairs Committee, which helps me stay in tuned and actively involved with the activities, changes, and progress that the University makes. The best advice that I could give is to not worry about knowing exactly what you want to do. Public Health has so many opportunities and many people change course within their careers. As long as you stay engaged, pursue activities you love, and keep your mind open, it is ok not to have a step-by-step plan. If you give it your full effort, the activities that you do will propel you down a successful path. With that said, knowing exactly what you want to do and working toward it is admirable and smart as well! Hi everyone! My name is Emily Zheng and I'm from Quincy Massachusetts. I'm currently a senior Public Health Major with a focus area in Health Promotion and Management, a minor in sociology, and a certificate in Public Policy and Administration. My interest in public health came from my desire to help others. I originally planned on pursuing a career as a nurse but found that the medical field was not the right route for me. I entered UMass undeclared on the exploratory track in SPHHS and found that I really enjoyed the courses I was taking. Although my focus area is in Health promotion and Management. After interning at a nonprofit, I have found that I am also interested in working within communities. I hope to either volunteer for the Peace Corps or AmeriCorps after graduation and eventually going back to graduate school. Aside from Peer Advising, I am also involved in the Greek Community on the Multicultural Greek council. 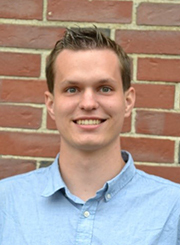 Outside of Amherst I work as an Program Assistant at the UMass Donahue Institute of Applied Research and Evaluation. My advice to students would be to step outside of their comfort zone and come to college with an open mind. College is the perfect time to challenge yourself, find your interests, and discover what you are passionate about. Also, this University has so many resources to ensure your success, so definitely explore your options and utilize them! Our advisors are here to help you.